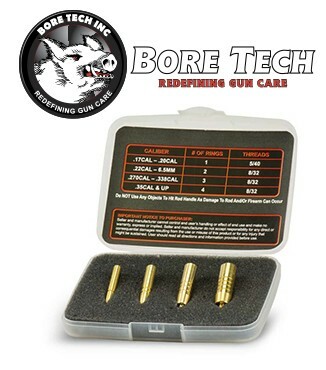 Bore Tech’s BULLET KNOCK OUTS are a must have in every serious shooter’s range box. 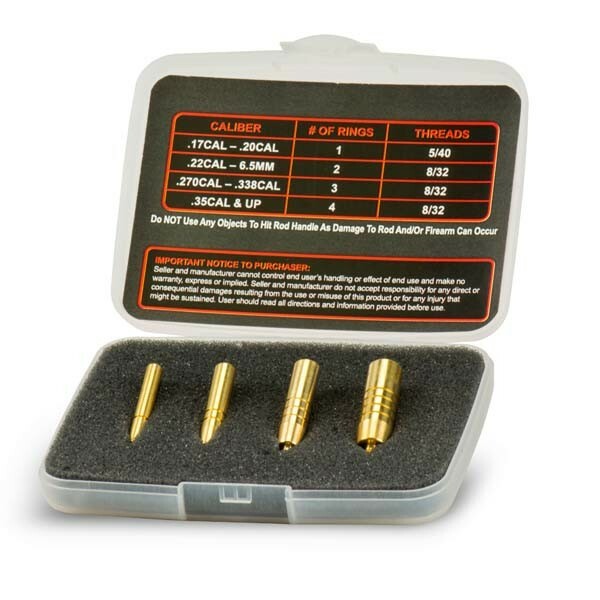 Created from necessity, the Bullet Knock Outs are a simple, compact and effective way to safely remove lodged bullets or stuck cases without ruining your cleaning rod. 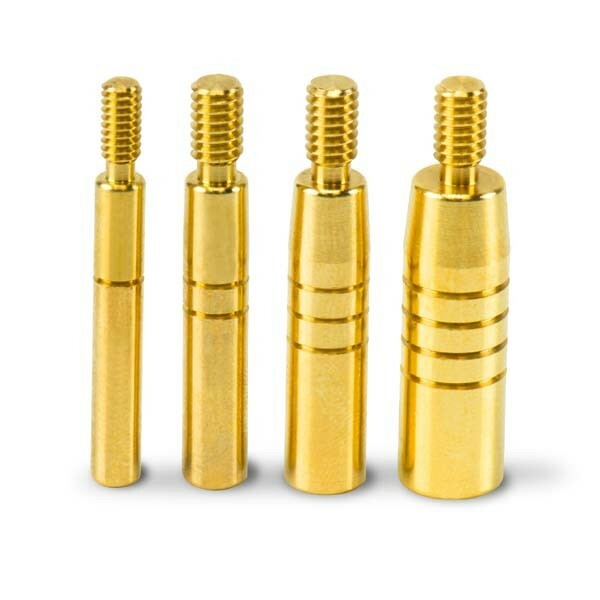 Machined from solid brass the Knock Outs work on both rifles and pistols from .17-.50 caliber. 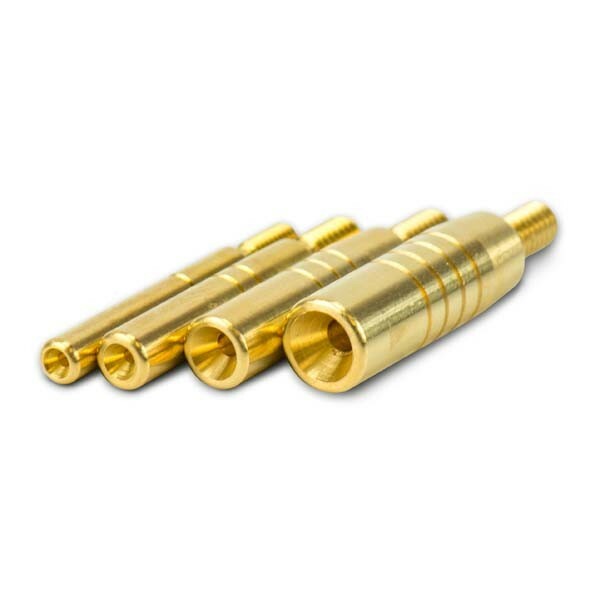 Convenient identification rings machined into each of the 4 included tips ensures the proper pairing to the caliber. 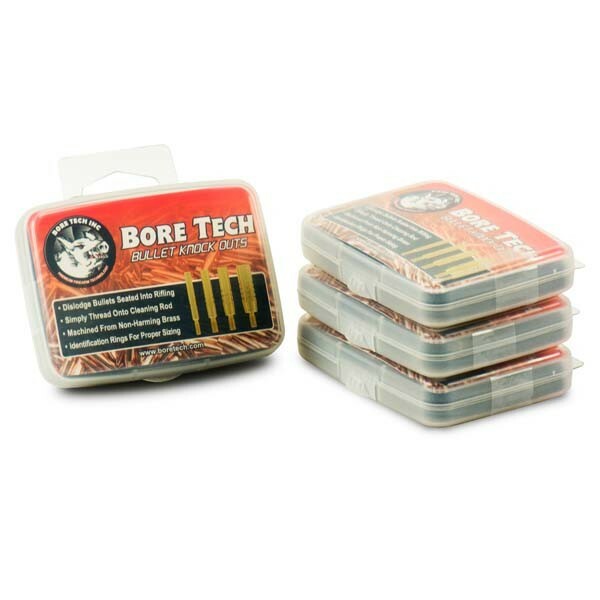 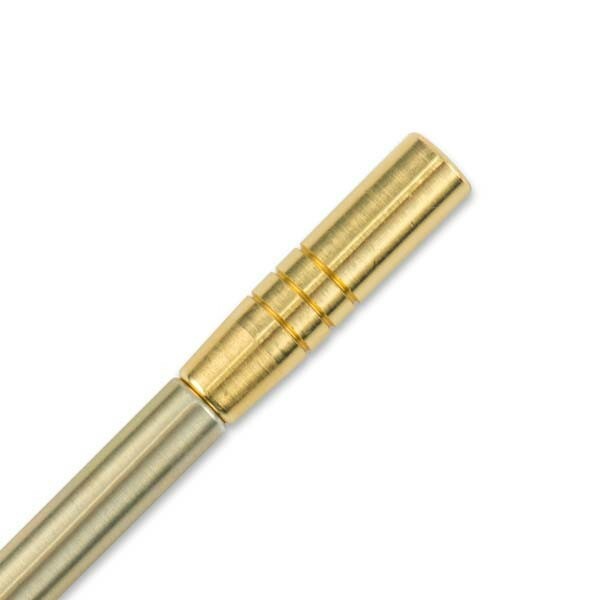 Eliminate shortened days at the range and the frustration of damaged rods with the Bore Tech Bullet Knock Outs.